Quite alot has happened since my last blog entry here. There have been job changes and a major move back into St.Louis, Missouri. However, what has remained constant has been my work and love of shooting and capturing the moments and places in life where I find beauty. Among those changes was accepting a position at Concordia Seminary in St.Louis as a Web Developer and Photographer. This has granted me a wonderful opportunity to see everyday the very place that inspired my love of architecture in high school, which is where I first picked up a camera. What many of you may not know is that my family lived just a block from the campus in the 1980’s when my father attended the school to become a Lutheran pastor, so working at my father’s alma mater and at a place where I did alot of growing up has been a real blessing. Over the years I have returned to this place again and again, if only to walk on its campus or gaze at the Luther Tower. 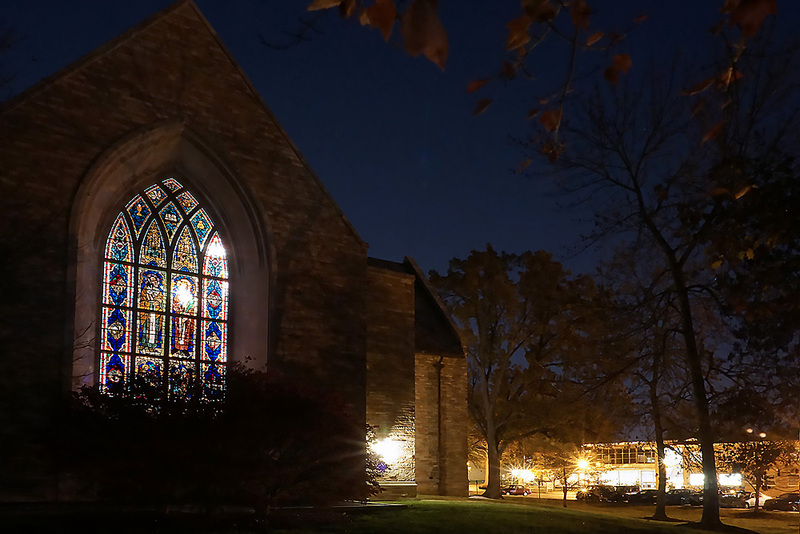 This was a place I always found so beautiful, especially at night and so having the chance to see it everyday, and to study it, has given me the opportunity to capture such images as found in my Concordia Seminary portfolio. Chapel of St. Timothy & St. Titus on Call Day when student receive the assignment as a pastor of thier first church. It is that fascination that lead me to capture two images I am quite proud, “City Stream” & “Moon Over St.Louis,” which were featured in the Sheldon Art Gallery, here in St.Louis for the city’s anniversary art show “St.Louis at 250.”. In an effort for more visibility for my work, I am happy to announce that my photographic artwork is now featured on both Saatchi Art and Amazon.com. There you will find select autographed artwork along with unsigned unmounted prints ready for your framing options. The response has been wonderful so far and I look forward to offering more of my recent work in the future. To stay up-to-date on new releases, upcoming sales, and special pricing offers, Sign Up for my newsletter!